On average we increase TripAdvisor reviews for our clients by 83% within just 12 months which equates to a minimum average increase in revenue per year of *$15,324. 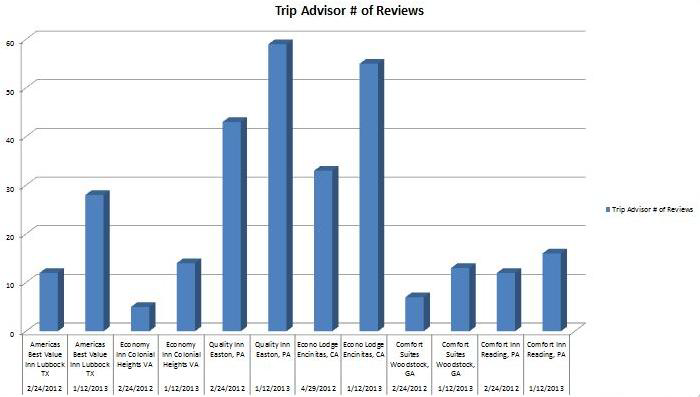 TripAdvisor Positive Reviews soar with the help of My Hotel Reputation specialists. Our Hotel clients jump placement on sites such as TripAdvisor and Expedia, moving up in online ranking something we specialize in.